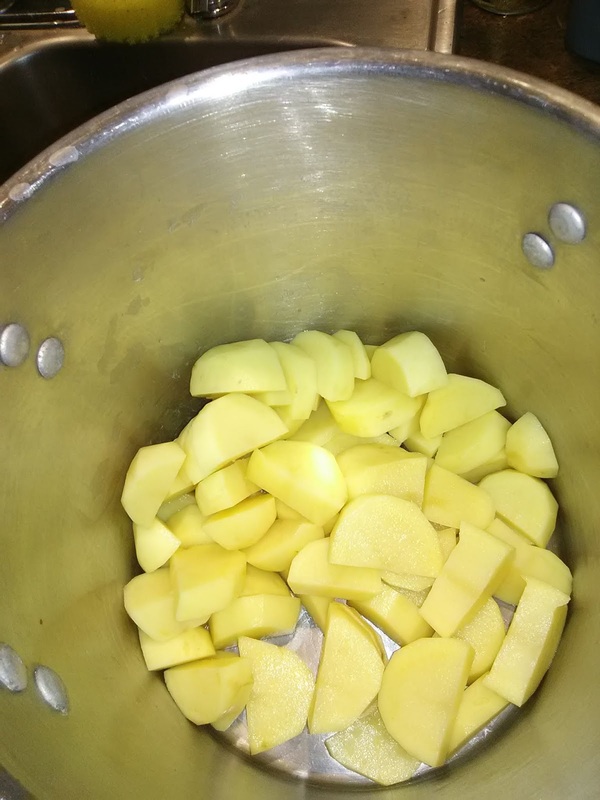 Bonfire of the Vanities: What am I cooking? 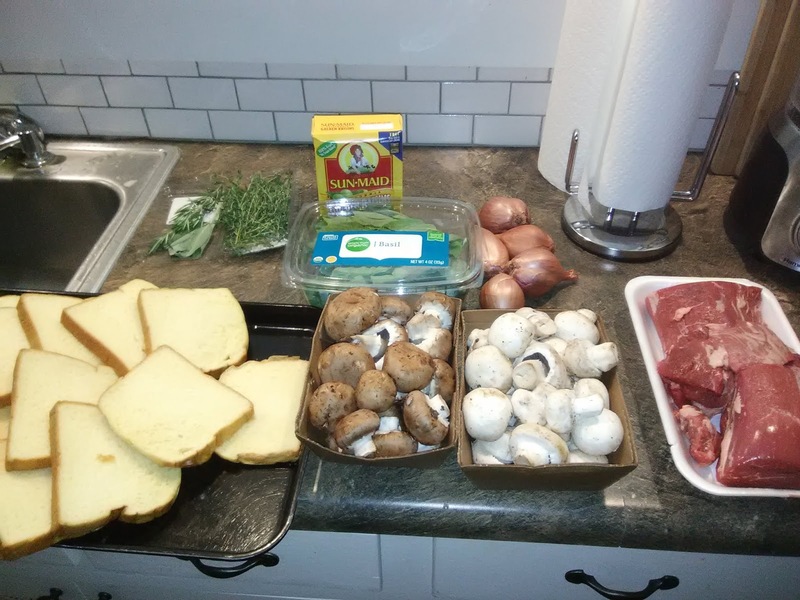 Here are some ingredients. 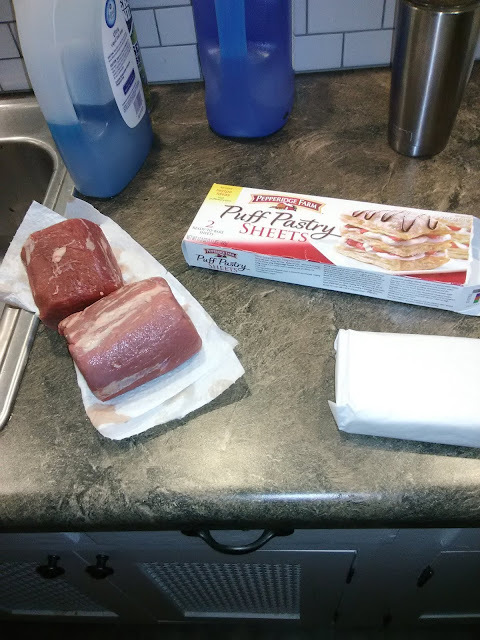 I'm beginning work on a dinner for tomorrow night. What do you think I'm up to? 1) All the ingredients are not shown. 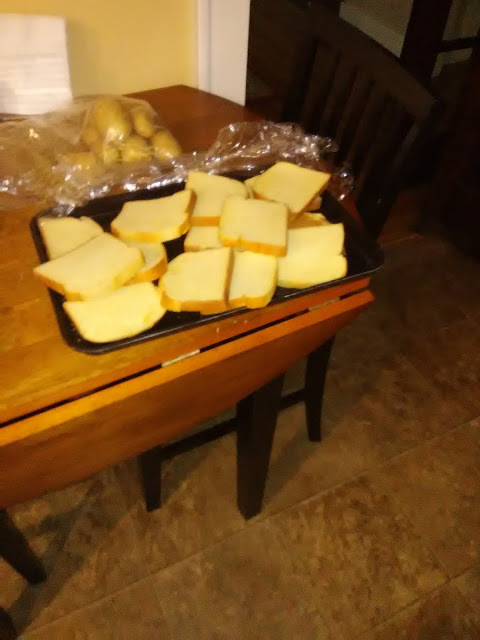 Why is this bread still sitting out? Did it sit out all night? I am definitely ahead of schedule. I have just major one task before I head over for confessions and Mass. Meanwhile, here are more photographic clues. Could these be basil leaves? What will I do with these raisins? I better get back to work! One more update before I go over for confessions. 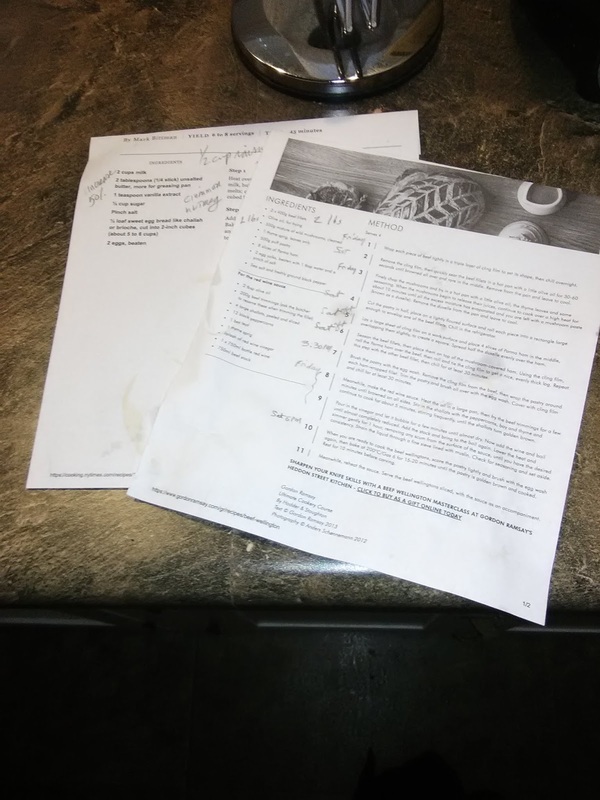 Just a few minutes ago, I combined the bread, bourbon-soaked raisins and the milk-cream-egg-sugar mixture. (Also some sugar, cinnamon, nutmeg and vanilla.) Now it goes into the fridge; I won't bake it till the main course comes out of the oven. This is my first time making this: I don't know if it's a bad idea to have it soak for 3 hours, but I don't have much choice. Have you figured it out? I've shown you something of every dish I'm going to serve tonight. Hint: with the exception of the last item, I've made all the other things, some recently. OK, there's the 3:30 pm bell! Got to go! Sorry, no pictures, but when it all came ready, I wasn't taking time to snap photos! Antipasto: Caprese salad; i.e., fresh tomato slices, with buffalo mozzarella and fresh basil. How did everything turn out, you ask? The Caprese salad had two challenges. 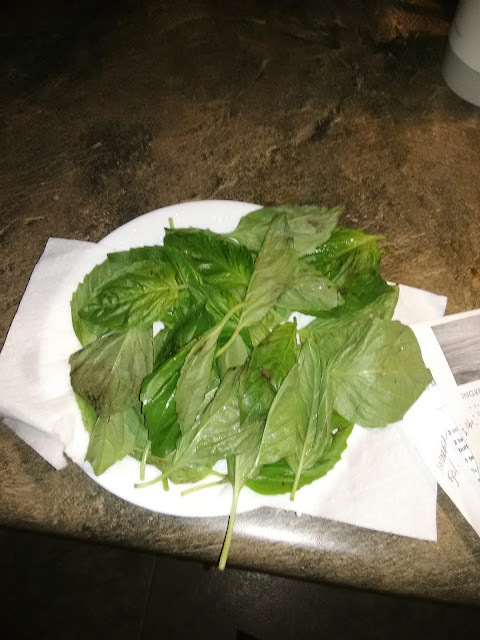 The tomatoes weren't sliced neatly, and the basil wilted faster than I thought it would, but it all worked and tasted really good. Assembling five salads was a trick -- that is, I did them individually. The Beef Wellington turned out well. I still have to figure out how to avoid the extra pastry on the ends; although that is pretty tasty, especially the next day, heated up and buttered for breakfast. I put too much cream in the potatoes, and I wish I'd kept the pudding in the oven another ten minutes. 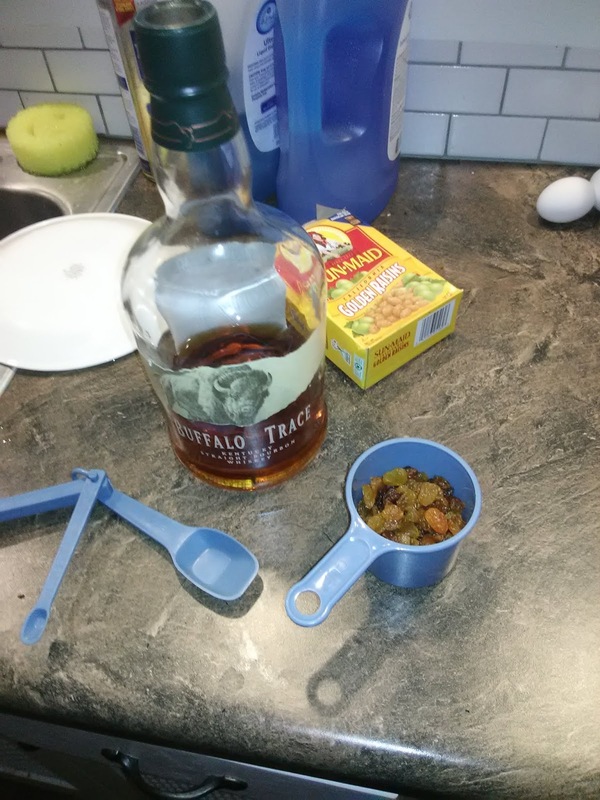 The next time I make bread pudding (this was my first time), I'll add more bourbon and maybe use either brown sugar or maple syrup. Also, maybe sprinkle sugar over it before baking. But it turned out really well. Everyone had a good time. Might have a guess but the bread throws me off the track. Why does our priest have so much bread? Are you using it make a crust or layers instead of regular dough? I’m guessing you’re creating a stuffing of some sort for the meat? It’s a head-scratcher! 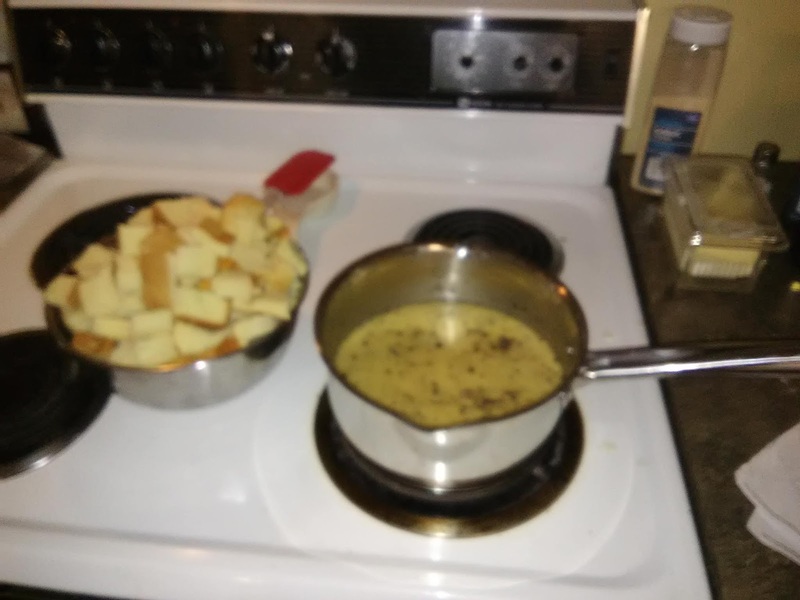 A really fancy chipped beef on toasre with the best gravy ever? Another Beef Wellington and a really yummy bread pudding for dessert?! Yum! 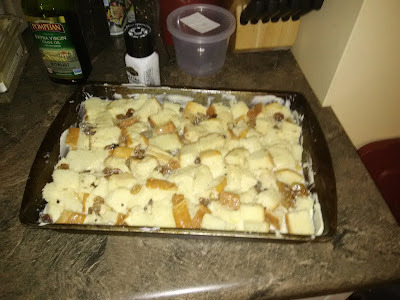 Bread pudding! - R.A.